As the 27th season of The Ultimate Fighter comes to a close, it’s time for the finale event, which takes place Friday night at the Pearl Theatre in Paradise, Nev. The headliner is a middleweight contest between undefeated Nigerian kickboxer Israel Adesanya and TUF 11 semifinalist Brad Tavares. Since beating Seth Baczynski at the TUF 11 Finale, Tavares has gone 11-4 in the UFC’s middleweight division. He is currently riding a four-fight winning streak, and his last outing resulted in a TKO victory over Krzysztof Jotko in April. Tavares, who currently sits at No. 8 in the division, is looking to make a statement with a win over his surging opponent. Adesanya entered the UFC in February after going 11-0 across promotions in China and Australia since 2012. He has also concurrently fought as a professional kickboxer during this same stretch, compiling a record of 26-5-2 with multiple tournament championships. 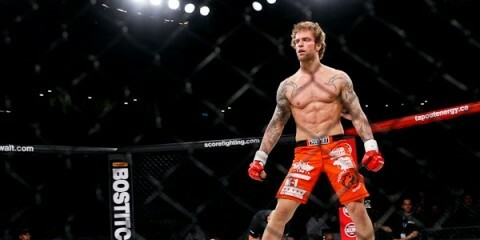 In his much-anticipated Octagon debut, the striker took a TKO win over Rob Wilkinson. Adesanya followed up with a win over Marvin Vettori in April. If Adesanya claims the win over Tavares, then he will certainly shoot into the rankings. The UFC will also crown two new TUF champions at the event. Two men’s O’s have got to go. 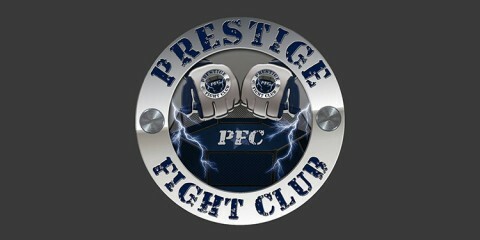 First, featherweights Brad Katona and Jay Cucciniello face off. This will be the first professional fight for both the Canadian Katona and the British Cucciniello on American soil. Next, a lightweight winner will be crowned when two experienced up-and-comers from the northeast region of the United States scrap in the evening’s co-main event. Mike Trizano and Joe Giannetti come in with a lot of finishes, extensive amateur records and regional titles. The 12-fight event kicks off with two bouts streaming live on UFC Fight Pass at 7 p.m. ET. Four additional prelims follow on Fox Sports 1 at 8 p.m. ET. The six-fight main card stays on Fox Sports 1 beginning at 10 p.m. ET. Combat Press writers Zach Aittama and Dan Kuhl preview the event in this edition of Toe-to-Toe. Israel Adesanya has made a quick ascent to headlining status in the UFC, but he struggled at times against Marvin Vettori. 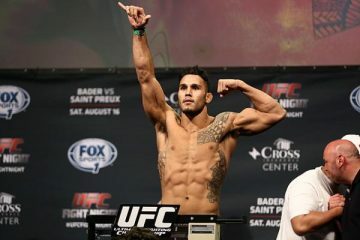 Is Adesanya ready for a fight against Brad Tavares? Or will Tavares dominate with clinchwork and takedowns? Aittama: Call it struggling if you’d like, but Adesanya worked Vettori over in the first two rounds of their UFC on Fox 29 bout. Adesanya forced Vettori to attack when he didn’t want to just so Vettori could keep up with the action in the cage. This ultimately led to huge mistakes, over-reaching and costly mishaps from the Italian prospect. “Style Bender” used his superior footwork, head movement and defense to control each and every exchange for the first 10 minutes of the fight. Vettori threw well over 100 strikes in the first round and landed cleanly maybe twice to Adesanya’s chin, both times with left hands from the southpaw stance, which won’t be a factor here since Tavares fights exclusively from the orthodox stance. If two takedowns and less than two minutes of control in the third round were enough to dissuade the hype train, then this fight would look like an absolute uphill battle for Adesanya from the opening bell. Well, it isn’t. In fact, this is the most difficult style match-up Tavares has ever gotten in the UFC, and he signed on for this fight willingly against one of the best strikers in MMA, if not the best. 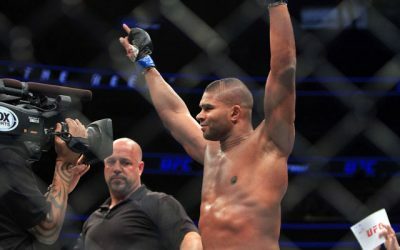 Tavares is an incredibly well-rounded fighter who can hold his own at distance, during exchanges, in the clinch, while wrestling, and on the ground. None of this will help him in this fight, however. The problem for Tavares in this fight is his inability to change what he does well to face a fighter of the technical ability of Adesanya. Tavares is a book that’s been read over and over again to the point where the pages are starting to fall off. The Hawaiian is good in every facet of the game, but he continues to utilize the same tactics fight in and fight out. He throws a hard right hand, he can kick his opponent’s legs from either stance, and he’s good when pressing forward inside. However, Tavares, when met with tricky opposition on the feet, regresses to his physical talent and toughness rather than a technical approach to the game. 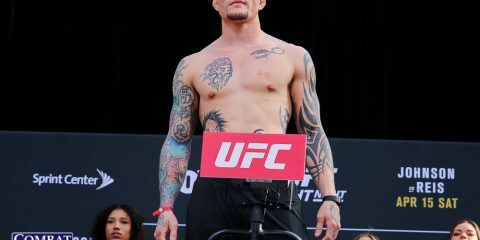 He made a major mistake — a product of his carelessness while biting down and exchanging inside without regard for his defense — that left him out cold against skilled southpaw Robert Whittaker a few years ago. Adesanya isn’t a one-hitter quitter with massive punching power, but he gives his opponents so many different looks that they walk themselves into devastating shots. 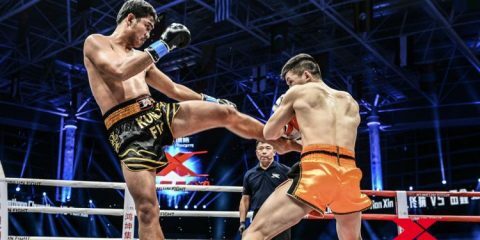 His striking is truly at another level in the sport of kickboxing, let alone MMA, where the multitude of potential factors and outcomes opens even more avenues of success in any range. Adesanya can slyly move just inches away from an attack and immediately make his opponent pay for the effort, something he did on a consistent basis against Rob Wilkinson in his UFC debut and against the aforementioned Vettori. The Nigerian-born Adesanya controls the cage unlike most, which helps him avoid disadvantageous positions. His movement puts his opponent out of position, and his diversity of attack keeps them guessing throughout the fight. Even when Adesanya is fending off takedowns and working in an underhook, his body position and physical ability plays a major factor in his success at staying on his feet or being in the right position to fight off the takedown attempt. This fight is intriguing on every level of the game. Despite the claims that it might be too much for Adesanya to take just six months into his UFC tenure, it is absolutely a winnable fight and a launching point for one of the most exciting prospects of the decade. In Adesanya, MMA has one of the greatest pure strikers in combat sports. In Tavares, it has a grizzled veteran on the rise with a chip on his shoulder to finally get his due. This fight truly is the perfect test for a blue-chipper against a fighter on the cusp of title contention. If Tavares wins, then it’s going to be one of the toughest — and likely one of the most boring — fights of his career. He needs to drag this out, wear down Adesanya with leg kicks, and keep working for positional dominance for 25 minutes. Unfortunately for Tavares, the hype is real. Adesanya will become only the third fighter to stop Tavares in his UFC career, and the kickboxer will do it in spectacular fashion. Kuhl: I have to agree with my colleague on every aspect of Adesanya’s game. The one chance his Hawaiian opponent has is to neutralize the striking of the Nigerian. Tavares goes the distance a lot. He likes to grind his opponents out. He’s tough as a bull, and he is not afraid to drag it out. If Vettori could take Adesanya to his first decision, then Tavares can certainly do the same. The problem for Tavares is that Adesanya is capable of ending this thing at pretty much any time. The kickboxer may not have one-shot knockout power, but he is a veteran fighter who knows how to finish. Tavares will try to grind it out, only to come up short when Adesanya finds a way to end this one late. This card features the lightweight and featherweight finals for season 27 of The Ultimate Fighter. In the lightweight division, Joe Giannetti meets Mike Trizano. In the featherweight final, it’s Brad Katona and Jay Cucciniello. 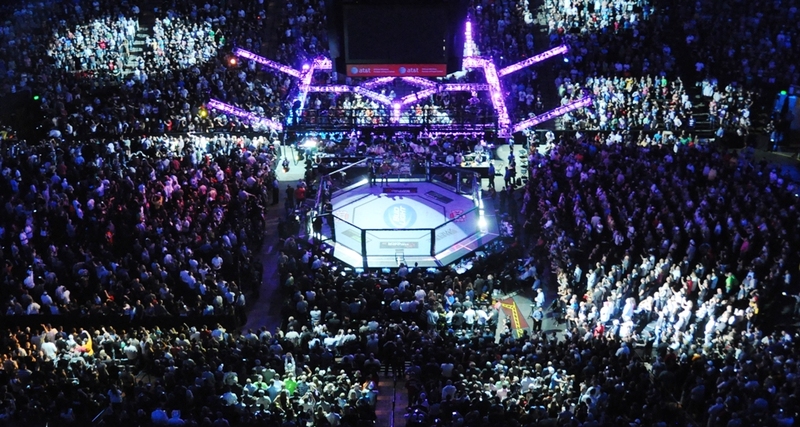 Which two men will become the latest to be crowned as the “Ultimate Fighter”? Kuhl: This was a very entertaining season, and I, admittedly, hadn’t really heard of any of these guys before. That being said, we got to see some really great fighters, so this should be a pair of awesome bouts. Featherweights Katona and Cucciniello have combined for 14 total wins with, obviously, no losses. Both men have proven to be well rounded and can finish the fight pretty much anywhere, but Cucciniello has the upper hand in this one. Not only does he have a little bit more professional experience, but he has been finishing just about everyone he’s faced. Aittama: This season did indeed feature a number of talented fighters, including a few who were bounced out in the opening round of the show. Cucciniello was one of those fighters. The Brit was defeated by Bryce Mitchell, but he received a second chance when Ricky Steele was unable to continue into the second round of the tournament. Cucciniello made the most of his opportunity and stopped one of the favorites coming into this season, Tyler Diamond, in the third round of their semifinal bout. 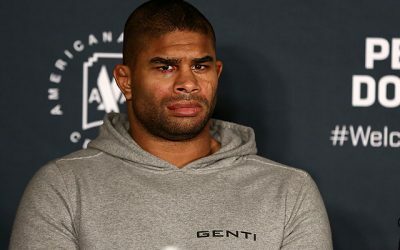 Canada’s Katona impressed throughout the featherweight tournament, where he scored victories over Kyler Phillips, Stipe Miocic’s top pick, and the aforementioned Mitchell, who was Daniel Cormier’s second pick. The 26-year-old is a well-rounded talent with an ability to finish, but most of his wins have come on the scorecards. This fight will be a back-and-forth battle, but Katona will likely emerge as the winner if the contest goes the 15-minute distance. In the lightweight finale, both fighters are tremendously experienced on the East Coast regional scene. In addition to being an ROC titleholder, Trizano is a Bellator veteran. Giannetti, 23, has been slowly compiling a solid resume of victories on the Massachusetts circuit under the watchful eye of Bill Mahoney, who was a major factor in Giannetti changing his life around through martial arts. Giannetti continues to grow as a striker, but his game is still slightly awkward and not technically sound. Trivano, meanwhile, has fight-finishing ability in every facet of the sport. However, Giannetti’s submission abilities will play the biggest factor in this fight. Giannetti is not a frontrunner by any stretch of the imagination. 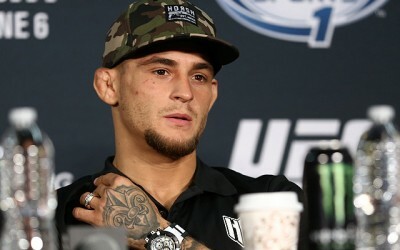 In fact, he has carved out a niche as a fighter who takes shots, gets put in danger and miraculously turns the tide to finish the fight with a slick choke or quick armbar. That’s where Giannetti will make his name and conquer Trivano in the co-main event. Luis Peña, Richie Smullen, John Gunther and Allan Zuñiga — do we need to know these names? 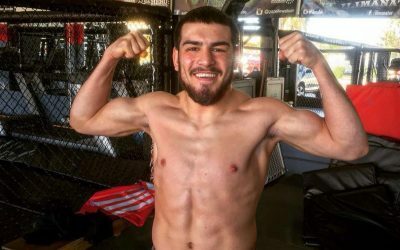 Aittama: Peña put on the best performance of any of these four UFC newcomers in his opening-round tournament fight against José Martinez Jr. Peña, who is just 25 years old, has an intriguing style that could lend to him sticking around the promotion as a good action fighter. He doesn’t have the experience that would normally signify a fighter who is ready for the next step, though. Ireland’s Smullen seems like an appropriate test for Peña. Smullen was unable to fight on the show, but his roots in SBG Ireland, home to UFC standout Conor McGregor, give him an upper hand when it comes to name value, for whatever that’s worth. 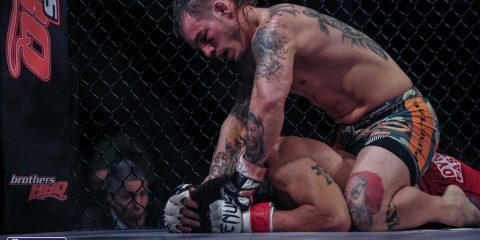 Smullen has fought in BAMMA twice and picked up a quick submission win in his debut with the promotion. His fight with Peña should get the juices flowing at the very least. Gunther had a second opportunity to jump into the finals following his opening-round tournament defeat to Joe Giannetti. Gunther replaced the aforementioned Peña in the semifinals against Mike Trizano after “Violent Bob Ross” was pulled from the show with an injured foot. Gunther can compete in every facet of the game, but his bread and butter is his wrestling. Gunther faces fellow semifinalist Zuñiga, who had one of the best records — he was 13-0 — coming into the show. The Costa Rican holds a win over UFC veteran Marcin Bandel. Neither Gunther nor Zuñiga projects as a fighter who will turn into a future champion, especially in a division with so much depth to where one or two losses could cost a fighter his job. Kuhl: Smullen has a lot to prove. 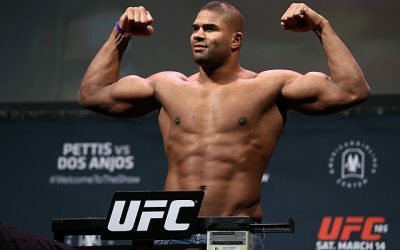 He came in appearing to have a broad skill set, and he is a training partner of McGregor. He cramped up when he was supposed to fight Zuñiga during the season, so it will be interesting to see how he fares against Peña. Kuhl: Tyler Diamond and Bryce Mitchell. Both men are coming in as 9-0 regional champs, and this one is set up to be a total barnburner. They are two very well-rounded fighters, but they didn’t make it to the TUF finals. They have a shot to shine on Friday night. Aittama: The women’s flyweight battle between Roxanne Modafferi and Barb Honchak. Despite both women taking a loss in their Octagon debuts, this match-up of contenders will play a factor in who can keep their name at the top of the newly created division’s rankings. In her most recent fight, Modafferi went five hard rounds on short notice against current champion Nicco Montaño. Expect her to continue to showcase the improvements she has made since her move to Las Vegas. Aittama: UFC 226. The TUF Finale card is the hors d’oeuvres on which fight fans can whet their appetite before the stacked pay-per-view event. This card has a few tasty morsels to get us ready for the biggest event of the year. Kuhl: A lot of water. After the Fourth of July festivities, and with UFC 226 the next night, it’s important to stay hydrated — and detox a bit.